There are three different gameplay events that go on in Stick Online as well as official tournaments hosted by some of the GMs. The three gameplay events are the Easter event, Halloween event and the Christmas event. Each of those events are outlined below along with the winners of the official tournaments and their prize. Easter Eggs spawn throughout the entire Stick Online world. They will not appear unless you are close to them. They take 1 hit to destroy and give the player experience. 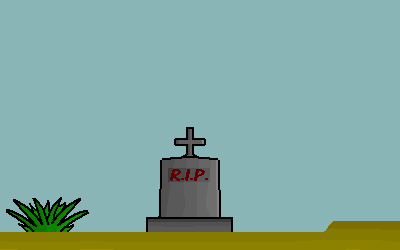 Along with Easter Eggs during the event, bunnies (both white and black) are more common and also spawn throughout the entire Stick Online world. Pumpkins spawn in the Forest area of Stick Online while Ghosts spawn around the Temple and Desert/Wall areas. Along with new monsters, the background of Stick Online changes as well. The sky gets darker and there are new decorations all throughout the world. During the Christmas Event, red, green, blue and deluxe presents fall from the sky all throughout the entire Stick Online world. The red, green, and blue presents drop Candy Canes and Santa Hats while the deluxe present drops the Santa Hat, Fedora, Green Beret and Slasher. 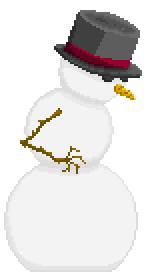 Along with presents spawning all over the world, in the beginning of the forest area, a Snowman may spawn. Snowmen drops include the Great Sword, Top Hat, and Snowball. With these new monsters also comes snow. Snow will fall during the Christmas event all over the map.